The vineyards are tended to down to the smallest detail, and kept constantly under control by Dante. With his country – some may say brusque – ways, no imperfection is allowed to pass unnoticed in the work which is all performed strictly by hand. In fact Dante spends most of his time in the vineyards he is so proud of, making them as neat and tidy as a well-kept garden. Winter and green pruning are the steps he keeps closest tabs on, while trading opinions and enjoying a chat with the friends and experts he takes with him to give a helping hand. 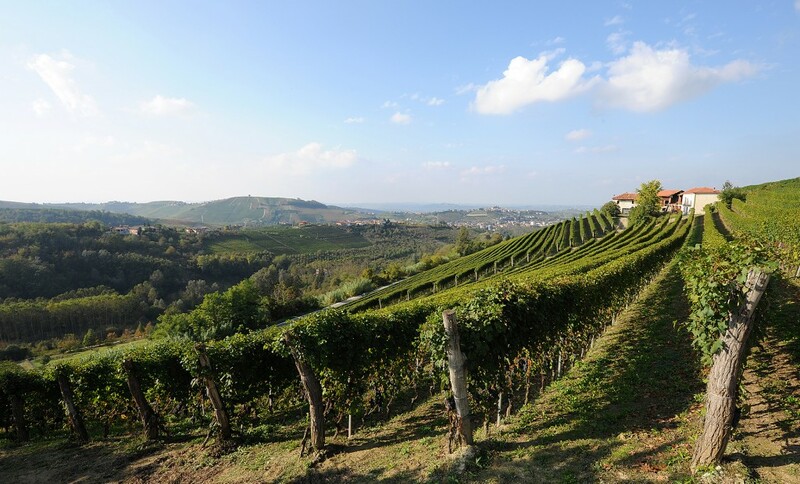 The typical Piedmontese varieties grown on the Dante Rivetti estate surround the very place where the family live and work: the site that produces Barbaresco Docg Riserva ‘Bricco di Neive’ (‘Bricco’ is the local dialect word for a prime hilltop site). 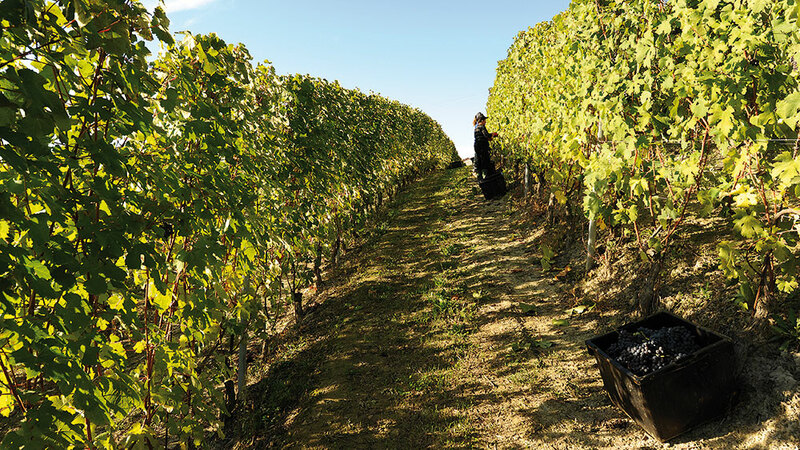 The Nebbiolo and Barbera grapes are harvested on the “Vigna Vecchia” (Old Vineyard), while the Moscato ripens in the rows alongside the family home, and Dolcetto d’Alba vines grace the vineyard which has always been known as ‘AnVarej’. 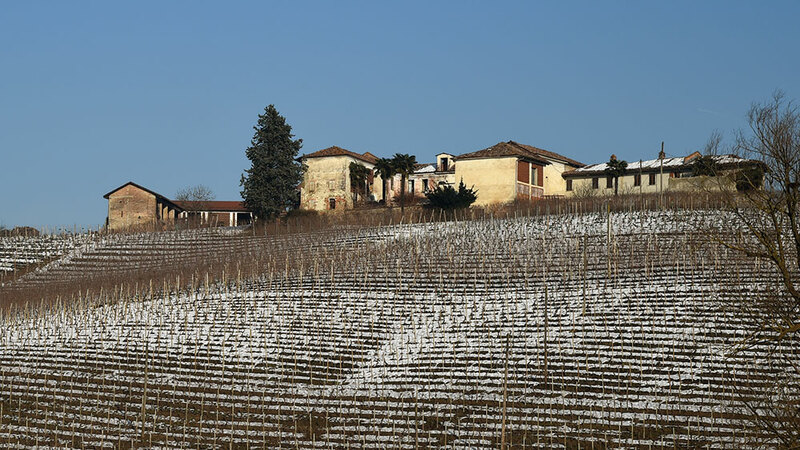 A plot of land that enjoys an exemplary position, and the red clayey soil that gives the Nebbiolo grapes that go into making Barbaresco their identity and characteristic qualities. the hillside of the same name. Reacquired by the family together with the estate, it looks out – along with the eleven hectares planted with Barbera, Dolcetto, Nebbiolo, Moscato and Arneis – over the old part of the village of Neive. Here the vineyards are steeped in history and bear witness to the identity of this terroir. Near Bricco di Neive stands Cascina Micca. Comprising six hectares on a single plot, this site enjoys a special position and the calcareous soil that is ideal for growing Nebbiolo, an exacting variety in terms of soil composition and needing painstaking, laborious care. Barbaresco Docg ‘Bric’Micca’ has been grown here since the 2000 vintage. Six hectares of land planted with the Pinot Noir from which Ivan decided to make the classic method white and rosé sparkling wines which are named after him. 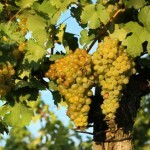 Chardonnay and Moscato are the estate’s other two cultivars. The wines of the Langa are an unmistakable expression of terroir – i.e. the set of characteristics in an area’s soil and climate that set it apart from others. The fact that the wines grown in this area have such a precise identity can also be attributed to the traditional style of vinification which produces varietal wines of great personality, and to the native origin of these varieties. Wines designed for the tastes of a so-called “international public” have only begun to be produced here in recent years, and they are grouped together under the “Langhe” Doc designation. Dolcetto is one of the native Piedmontese varieties most widely-grown throughout the region, but it has found its ideal home in the Langa. Though it has a preference for calcareous, marly soil on hillsides at an altitude of between 250 and 600 m., it will also grow above 700 metres. The name of the variety comes from the sweetness of the grape itself (dolce is Italian for sweet), but the wines are decidedly dry, with moderate acidity and a nicely bitterish aftertaste. 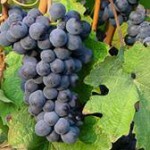 This black grape-variety has origins dating back long ago. It has always been very popular with farmers in Piedmont on account of its ability to adapt to different soils and climates, its high yields in the vineyard and the winery, and its wealth of colour. Its importance grew considerably in the late 1800s, when it proved to be vigorous enough to resist phylloxera, the insect which had invaded and destroyed so many vineyards. In the past Piedmontese Barbera was considered to be “rustic”, but its reputation has improved over time because it has shown itself to be capable of producing wines with good structure that will withstand the test of time. As with Nebbiolo, the clayey calcareous marl of the so-called “white soil” of the Langhe leaves its soft footprint in the wines made from Barbera. This is the oldest native black Piedmontese variety, and one of the most noble and precious in Italy. Its name come from the Italian word “nebbia”, meaning fog: some say it is so called because of the thick bloom that forms on the grape skins, making them look as if they were coated in mist, while others attribute the name to the late ripening of the variety, which results in its being harvested when the autumnal fog begins to roll in over the hills. It needs careful tending to, which is why it has seen periods of glory and others of decline. It has never been abandoned by the local growers though, aware as they have always been of the excellent qualities of the wines it produces. Calcium and tufa-rich soils are ideal for the growing of this variety. The grapes ripen relatively late, around mid-October, when the variations in temperature between night and day are higher, but the wealth of tannins to be found in their skins calls for good hillside vineyard locations which are well-exposed to the sun. The variety produces strong, powerful wines packed with alcohol which often give of their very best following lengthy ageing. The origins of this white wine variety go back beyond the dawn of time, and it is not known exactly where it was first grown. After flourishing for centuries, it was badly hit by the crisis in winegrowing and the migration of people from the countryside to the cities between the two world wars. 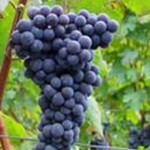 By the end of the Sixties it had been reduced to just a few rows planted alongside Nebbiolo, because its very sweet, early-ripening berries kept the birds away from the more remunerative black grapes. Its relaunch and recent success can be traced back to clonal selections which have decidedly improved the variety. In fact until a few decades ago the vines were somewhat deformed, and this could well be where the name originally came from, as in the local dialect it means “wild” and “mischievous”. 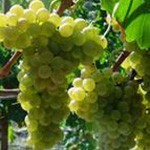 Moscato Bianco is by far the most widely-grown white grape in the region of Piedmont, and one of the main varieties to be found in many places in the provinces of Cuneo, Asti and Alessandria. It has a thin skin with little bloom, and its greenish colour turns golden or amber-coloured in the sun. An early-ripening variety, Moscato Bianco produces sweet, intensely aromatic, spritzy and – most commonly – sparkling wines. 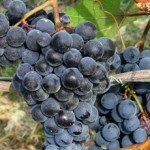 The dried grapes are also used to produce late-harvest passito wines of the highest quality.